City pollution 12: Traffic emissions raise risk of heart attacks, strokes, cancer – and dementia? Jeremy Corbyn’s Energy and Environment manifesto acknowledges that 29,000 people die early every year because of polluted air and one of his eight campaign proposals is for “Cleaner air – tackling the air pollution crisis in our big cities and committing to full independent public inquiry into levels of air pollution”. The government has agreed to improve their plan to curb emissions after a High Court ruling. Documents revealed during the case showed the Treasury had blocked plans to charge diesel cars to enter towns and cities blighted by air pollution, concerned about the political impact of angering motorists. 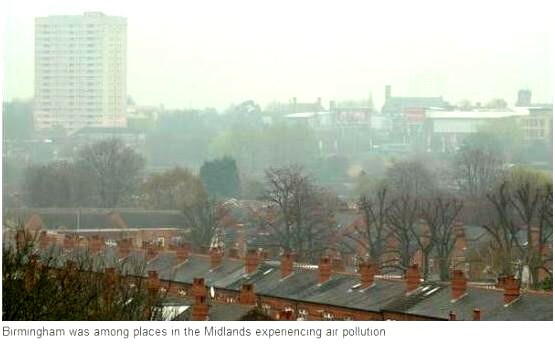 Following December’s review of the high incidence of ill-health and premature death in Birmingham and other cities, The Times today reports that nitrogen oxides from diesel engines are one of the main pollutants, inflaming the lungs, causing respiratory diseases such as asthma and are linked to a raised risk of heart attacks, strokes and cancer. Data from King’s College London showed that Brixton Road in south London breached nitrogen dioxide pollution limits for the entire year in the first five days of 2017. Pollution also increases the risk of dementia for those living near a busy road, according to a study published this week. No association was found with Parkinson’s disease or multiple sclerosis. As the BBC website reported, the Canadian analysis suggests 7-11% of dementia cases within 50m of a major road could be caused by traffic. It added that the researchers adjusted the data to account for other risk factors like poverty, obesity, education levels and smoking. The Protium Project (University of Birmingham) shows the potential use of hydrogen-powered passenger transport – and at their 2016 AGM at the Bond Warehouse in Birmingham a CBOA member stated an intention to convert his freight vessels to hydrogen fuel.